Incredible experience. Service, food, the surroundings... just spectacular. I so appreciated how everyone was very dressed up and behaving suitably for the European experience. Food was superlative. Easter celebration with the family. Fantastic! Always a treat -- charming place with delicious food and delightful staff. We spent Easter Day brunch at L'Auberge, and it was one of the best dining experiences I've ever had. Amazing service without being stuffy, and absolutely delicious food. Every item presented was hand crafted with the utmost care. The oysters were delicious and fresh, and the lobster dish was perfectly prepared! Everything was incredible - even the cappucino was to die for! The restaurant maintains an old school commitment to quality, while still presenting an updated and modern vibe. It is so refreshing to dine without being rushed and to have staff that is attentive without being overbearing. We brought our boys, ages 10 and 13, and while there were very few other children in the restaurant, the staff couldn't have been more welcoming and friendly. We loved being able to demonstrate to our boys what fine dining looks like, and to encourage wonderful conversation about proper etiquette and good manners. L'Auberge is a true gem! We can't wait to go back again. We have been going to L'Auberge for nearly 25 years now and can say that it is perhaps the best restaurant we have ever been to. The food is fabulous and the service is always excellent. Consistently an outstanding restaurant. I've been coming here for special occasions since 2010 and can't wait to come here again. The food was delicious and the ambiance as pleasant as ever, but service was less than perfect this time, as one of our party of four did not receive the ordered entree (and then, presumably, this was charged a la carte rather than prix fixe). The waiter, who may be in training, could have made greater efforts at communication and graciousness. However, we are willing to see this as a glitch rather than letting this diminish our esteem for l"Auberge. The food and service were outstanding as always. Another fabulous meal at L’Auberge Chez François. Everything was wonderful. Exceptional service. We went to celebrate our 50th wedding anniversary. It was or first time there. In spite of a packed restaurant, they made us feel that we were their most important customers. Everything was done to perfection, especially the service. I first came to know this restaurant in 1983 and still remember the meal! Veal scallopinni and raspberry tart. My husband and I get the same time we come, beef tenderloin for two. It never disappoints. Service is wonderful. We go for special occasions, because of the cost. Such a treat. Food was excellent and so was the service. We had a party of 5 and everything went very well. We had a great dinner here. 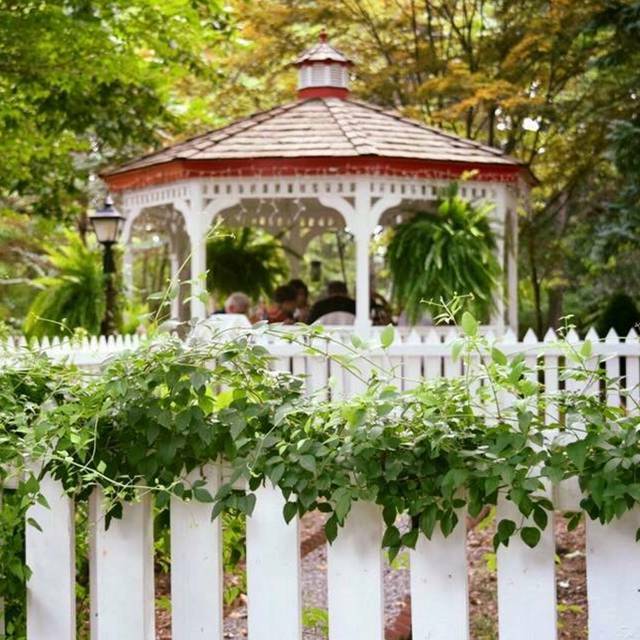 I requested romantic seating and we were seated in one of the gazebos. The food was great and the service was outstanding. We will definitely be returning. Great ambiance in a beautiful setting. Service was a little long for a business lunch. Guests start to leave after 1 1/2 hours. Absolutely fantastic. Great quality, value, ambiance, etc. 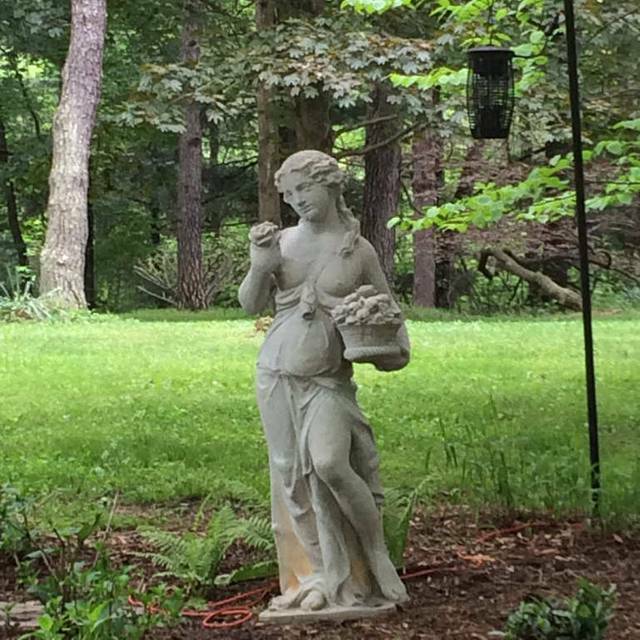 beautiful venue, grounds, and very good service. 5 course lunch (with wine) provides a truly great opportunity to enjoy a plethora of authentic French cuisine. Always my favorite French restaurant for celebrating special occasions year after year! The food and service remain outstanding every time! We had eaten here before, so when we decided to go out to dinner for our 50th wedding anniversary, this was where we wanted to celebrate! The Sunday dinner was wonderful; delicious food, a beautiful setting, and the best service we've ever experienced. We loved the choice of entrees and all the courses and little extras that come with a meal here. Our waiter Jose took excellent care of us, and the dining room hostess/manager (I forgot to get her name) was so gracious and welcoming; she even went out into the garden with us after the meal to take some more photos of us. 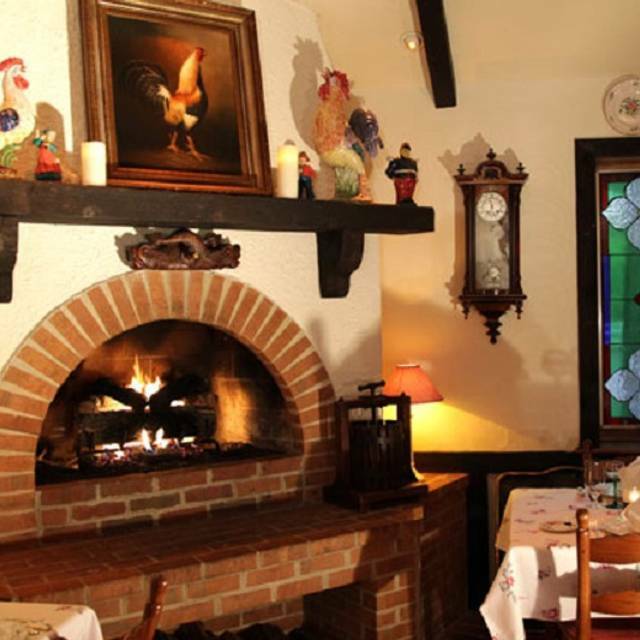 This restaurant is truly a treasure in northern Virginia! 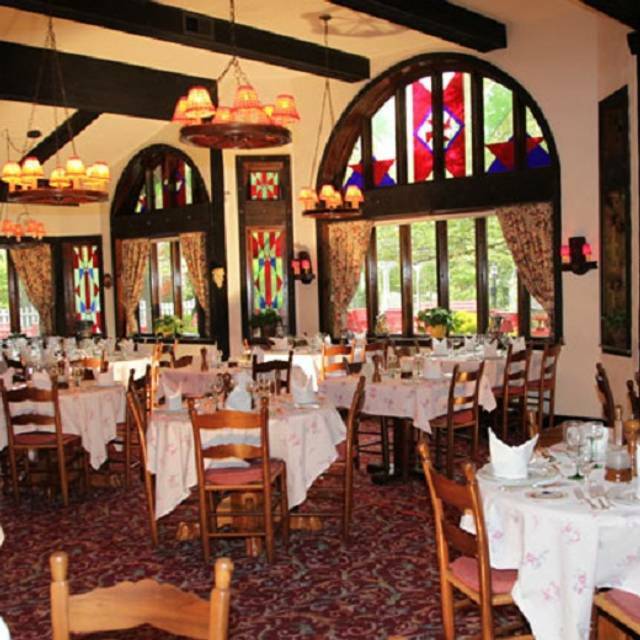 L'Auberge Chez Francois is our favorite place to go for a very special meal. The food, service, and atmosphere are all superb. 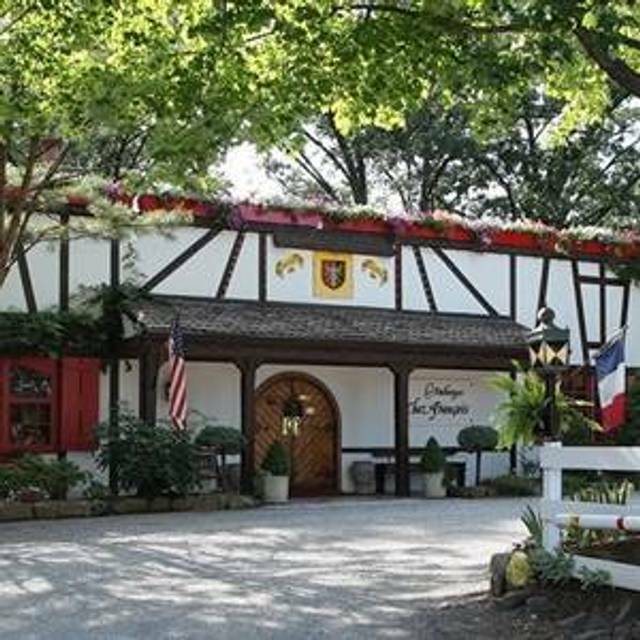 We celebrated our 50th wedding anniversary here--we've been coming to Chez Francois for many decades when it was located in Washington. Superb food, great ambience, attentive and friendly staff make Chez Francois our restaurant of choice for our most special occasions! Our server Richard was the best of the best!!!!! !Everything was stellar! Delightful lunch at a table overlooking the patio on a sunny but cool day. 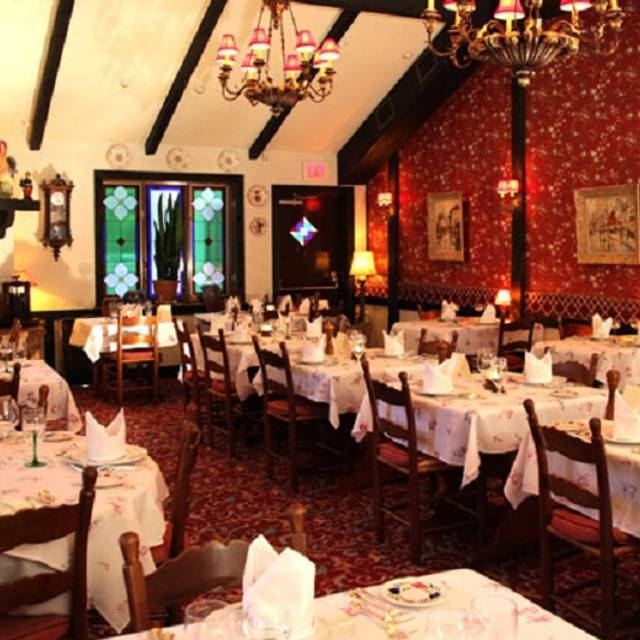 In our party of four, I was the only one who had previously been to L'Auberge. The others enjoyed it immensely and on the way home began planning when we could go again. As usual, the menu offered quite a variety and the service was excellent. The food, service and atmosphere lived up to its reputation. Our only regret was we had not dined here before. Dinner at L'Auberge Chez Francois with my family was a perfect way to celebrate my 75th birthday! I have enjoyed celebrating special occasions at this restaurant for over thirty years and this evening cemented my favorite only more. The house aperitif, the Escargot and the Chateaubriand, which was cooked perfectly, were all delicious selections. Jose's service was courteous, friendly, and well executed. We all enjoyed the evening! Our family or 7 enjoyed a birthday dinner on April 7. We have enjoyed L'Auberge for more than 25 years and it rarely disappoints anyone in the family---and Sunday night was no exception. The service was impeccable, the food consistently excellent. From the Dover Sole to the lobster to the mixed seafood to the tenderloin, and, of course, the chocolate soufflés, we enjoyed every bit. Can't wait for the next excuse to go to L'Auberge! Could there be a better place for an April Sunday afternoon meal with family? The entire meal was perfect (and the sole was especially memorable). Each course offered new pleasures, the wine was (with guidance) superb and a table of health-minded adults were all smitten by the dessert menu. That the family vegetarians were infinitely pleased and cosseted attests to the kitchen's ability to produce culinary fireworks. Our server was outstanding - always watchful but never obtrusive and remarkably efficient and effervescent. 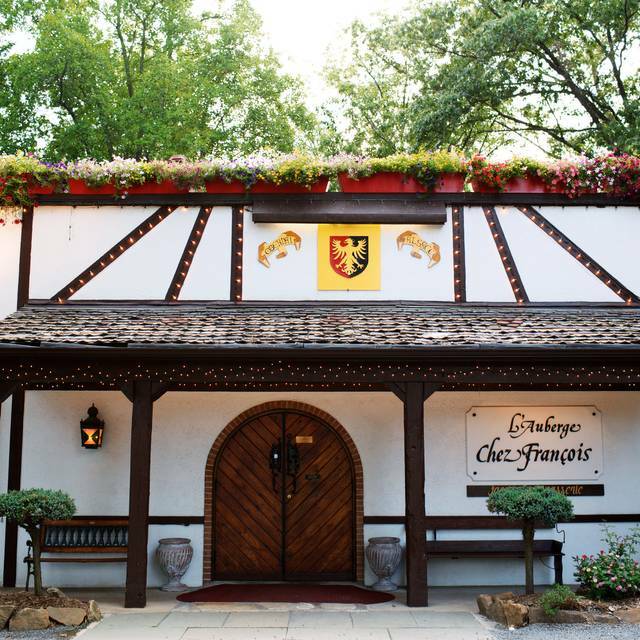 Over the years we've found that dining at L'Auberge Chez Francois is comparable to a mini-vacation and perhaps even more restorative. Beyond having the best French food in the WMA, their menu is the most gluten free friendly. Always a special treat to enjoy an evening here. An absolutely world class meal in all aspects! This is our "go-to" restaurant for celebratory meals. In this case it was a milestone birthday. Everyone enjoyed their food and we especially appreciate the attentive service. The fixed menu is a bit overpriced for what you get. The trout, house salad, smoked salmon appetizer and dessert was $82. The trout was just average. Service was a bit slow - 4 hours to get to dessert. Always a flawless dining experience. L’Auberge is our favorite restaurant in the entire DC area. Like so many Washingtonians, we have turned during the years to marking special occasions (and other times) at Chez Francois. 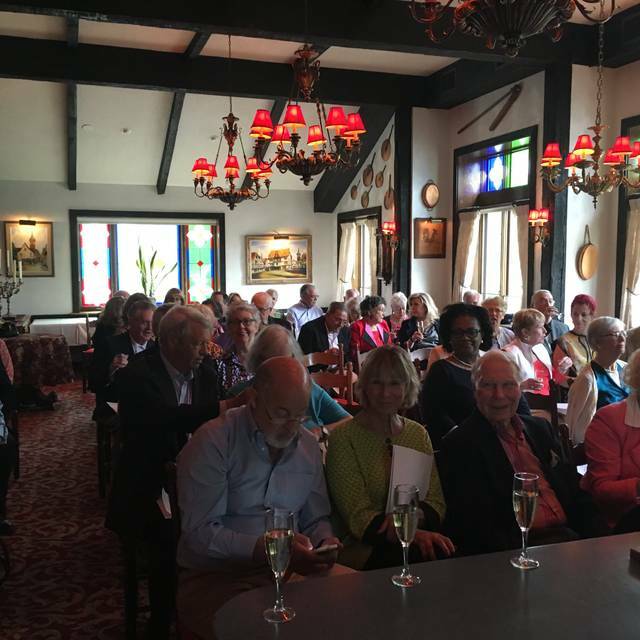 This time, it was our 55th anniversary and we were up from Florida to see friends, family, and to catch up on cultural events. Tomi was our waiter and the food and service were flawless. Lovely place...special evening. Great food. Pricey but definitely worth it. We come here on special occasions. The ambiance is amazing, like a French cottage sitting on a beautiful property surrounded by trees. The food is always fresh and tasty, and the garlic bread may be the best I've had in my life! The Dover sole is very good, anything with lobster is great, and if you like beef, the sirloin is a consistent hit with my husband. Service is always exceptional, they are polite, friendly and not overbearing. Worth the splurge. We came here to celebrate my wife's birthday. We had been here 23 years ago to celebrate her birthday then with friends, and it had been wonderful then. I arranged for two of her closest girl friends to meet us here as a surprise, together with our son and his wife, for Sunday afternoon lunch. So I had high expectations for the entire experience. We were not disappointed. 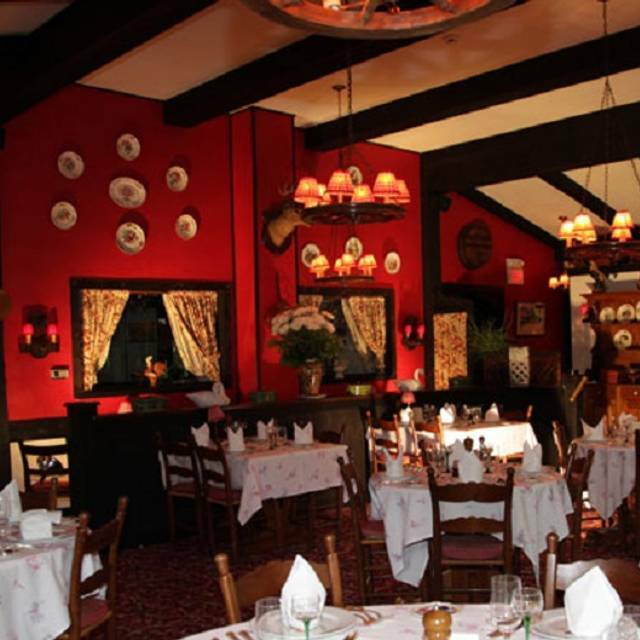 The food was very good to excellent, and the ambiance is a delight: a comforting country inn and even with time many people, quiet, quiet, quiet! With a table for 6, everyone could hear everyone else without strain. The service was outstanding - warm and friendly and attentive, but not intrusive. None of this "my name is Jacques and I'll be your sever" nonsense. The timing was perfect in bringing each course. NOTE - for those with gluten free requirement: at least half of the menu items are gluten free, and when I asked to have a Caesar salad without croutons, I was graciously accommodated. And this was a genuine, true Caesar salad, with anchovies and with a quail egg on top. My guests all found their appetizers and entrees outstanding, but I'll have to say that my duck entree was only so-so, not at all as good as some other duck dishes that I have had - hence the 4 star rating of the food instead of 5 star. The food is outstanding so fresh and so delicious. It's always reliable - great good, service and ambiance. You can't go wrong. The only problem is trying to decide if you want to order a souffle for dessert when determining your dinner.